Dr Leah Totton one of the UK’s leading aesthetics doctors has put together her top hints and tips for the time table of treatment you may be considering in the run up to your wedding. Most newly engaged couples will tell you that the first thing everyone says after “congratulations” and “let me see the ring” is “so when’s the wedding?” In 1959 Brides Magazine recommended that couples set aside 2 months to prepare for their wedding. In 2015 they now recommend with 12 months to go that you book your venue (for many of the more popular venues lead times can be considerably longer). Booking the initial consultation with a doctor who can give cosmetic skin advice should also sit high on the list of early ‘must do’s’, as treatments should be timed and co-ordinated so that they reach their maximum effectiveness on the big day. This is the best time for a High Intensity Focused Ultrasound also known as ‘3D SkinMed’, ‘Ultrasound Facelift’ or ‘Ultherapy’. 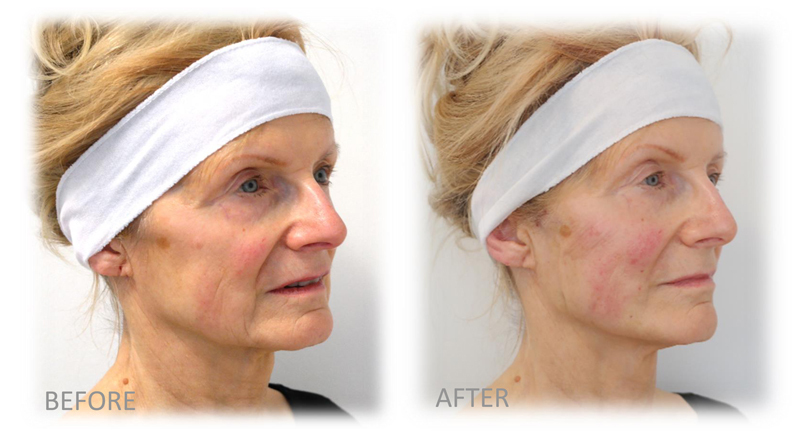 It has become one of the most sought after lifting treatments for face and neck. 3D SkinMed is a one-off treatment which will help you achieve tighter, firmer, lifted skin. This is also a perfect precursor to a non-surgical face and neck lift. Have a Silhouette Soft treatment – a two phased non-surgical face and neck lift for brides (and their mums). The initial skin lift is immediate, but the results are progressive and after three months, the body will react by producing its own collagen to rejuvenate the face. Embark on a series of 3D liposuction treatments to eliminate unwanted fat cells from the body safely, efficiently and non-invasively. We use targeted ultrasonic waves to destroy fat cells without harming any other cells in your body. 6-8 treatments, a week apart are recommend for maximum effect. Your face will never be more photographed than during your wedding celebrations so a month before the big day is the best time to have your anti-wrinkle treatments and dermal fillers to finesse the face and give it time to settle down. Have a facial treatment to deeply cleanse, exfoliate, massage and tighten the skin so that it glows with health and vitality on the big day. This will also tackle any last minute break outs brought about by nerves and stress. You need to allow 48 hours for the skin to settle down after treatment and for the full effects to be appreciated. I have also consulted with a couple of wedding experts to provide you with make-up and photography tips in advance of the big day… and on the day itself. ü Don’t leave things to chance…. Planning is everything. ü Have hair and make-up trials to ensure everything is just as you want it. ü If you are worried about lipstick transferring on to your teeth, after you have applied all of your lip colours, place a finger in-between your lips to remove any excess. ü For long lasting lip colour on your wedding day, first apply lip liner all over the lip area. Then apply a few coats of lipstick, blotting with a tissue in between. Then apply a thin layer of lip gloss for a gorgeous, bridal pout! ü It is better if your wedding photographer can capture those natural moments of you interacting with your husband and wedding guests. ü Naturally smiling pictures are always better than those where people have to pose. ü Don’t say ‘cheese’ it stretches the mouth unnaturally; instead say words ending in ‘uh’ (yoga) it creates a more natural looking smile. Shirley (67), a mother of five, whose daughter recently married in Matching Church, Essex, felt more emotional than most mums as she helped with her daughter’s wedding preparations. Over the past 25 years she had had several challenges leaving her unsure if she would ever see her marry. She consulted with me at Dr Leah Skin Cosmetic Clinic in London to discuss how we could help her to approach the event with confidence. In fact we are seeing a rise in the number of patients like Shirley, who are seeking discrete and natural looking, anti-aging treatments – especially before milestone events such as wedding. Treatment is carried out under a small local anaesthetic, which is administered to the face immediately before the procedure. Once the face is numb fine threads are inserted just under the skin where they are held in place with bi-directional cones. These cones are positioned along the length of the threads and act as anchors. The tension in the threads, once gently tightened, work to lift the sagging skin- elevating the facial tissue immediately. The threads are then absorbed by the body. Even better, the results of the treatment continue to improve over the coming months. Before dissolving the cones on the threads stimulate the body to produce its own collagen, helping increase the volume of saggy areas, restoring shapeliness to the face gradually. The treatment takes under an hour, and the initial effect can be seen straightaway. And how did she look at the wedding? “I am very happy with my Silhouette Soft treatment. I knew I could trust Dr Leah to do a great job; she’s brilliant! I feel really good about myself at the minute, I look forward to enjoying the new lease of life my refreshed image has given me. The wedding photographs show Shirley smiling with confidence and glowing with happiness, knowing that she had defied her condition to see her daughter’s wedding and overcome her concerns about her diminished appearance. A typical Silhouette Soft treatment consists of four threads and costs around £1,500. Treatment is offered subject to the clinician confirming a patient’s suitability.